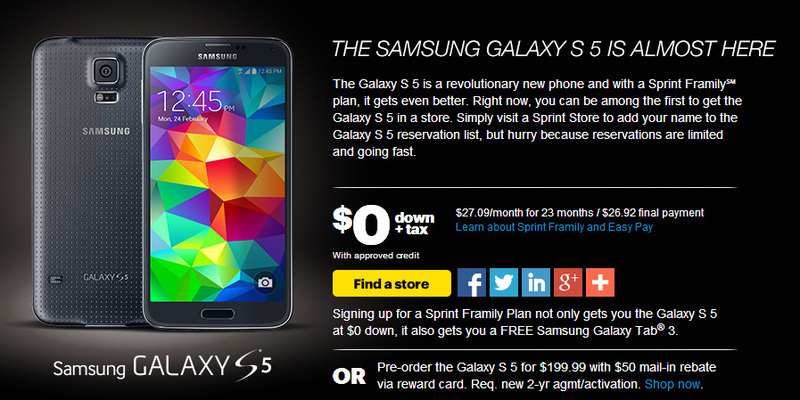 Sprint has announced the pricing and the release date details of the upcoming Samsung Galaxy S5 on its network. The latest Galaxy smartphone will cost $199 after a $50 mail-in rebate with a 2-year contract or $649 without any long-term commitment. The carrier is also offering the Easy Pay option for the Galaxy S5 and if you prefer to opt for it, then you will have to pay $27.09 a month for a period of two years, with $0 down. Pre-orders starts right now, head to the source link below.